A milestone in minting. One of five existing coins. 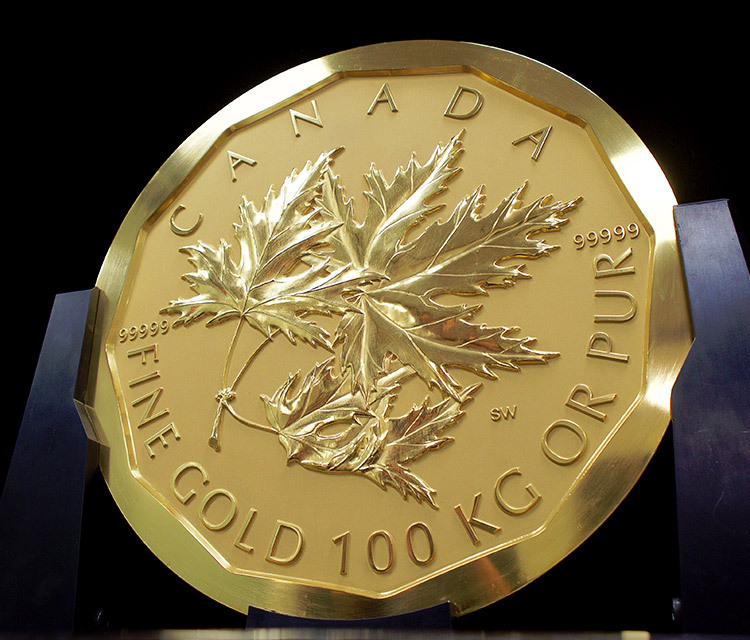 Incredible, but true: In 2007, the Royal Canadian Mint produced the world's first million dollar coin. 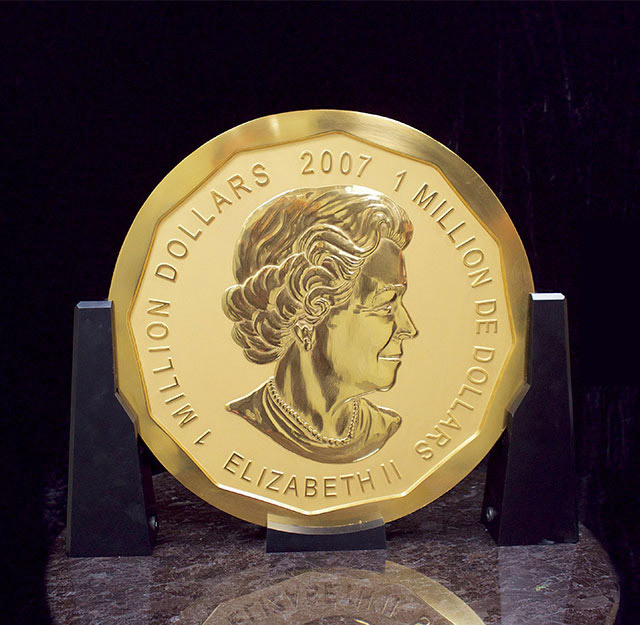 The 100 kg, 99.999% pure gold bullion coin with a $1 million face value was originally conceived as a unique showpiece. 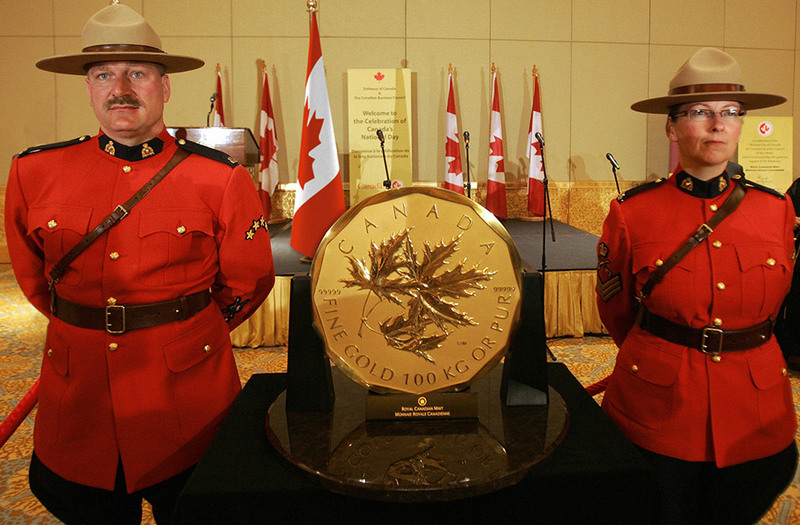 To date, only five of these majestic bullion coins, weighing 3,215 troy ounces each, have been produced. 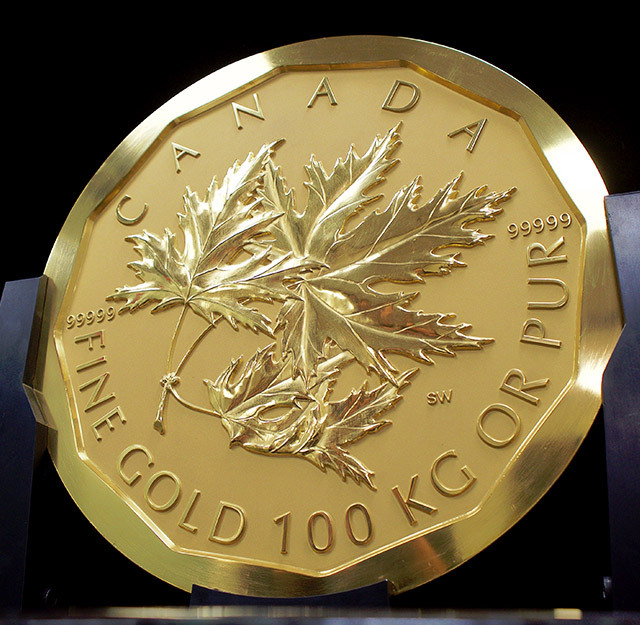 The coins were manufactured by the Royal Canadian Mint, which operates world-class gold and silver refineries, as well as minting and securely storing all Royal Canadian Mint gold bullion products. 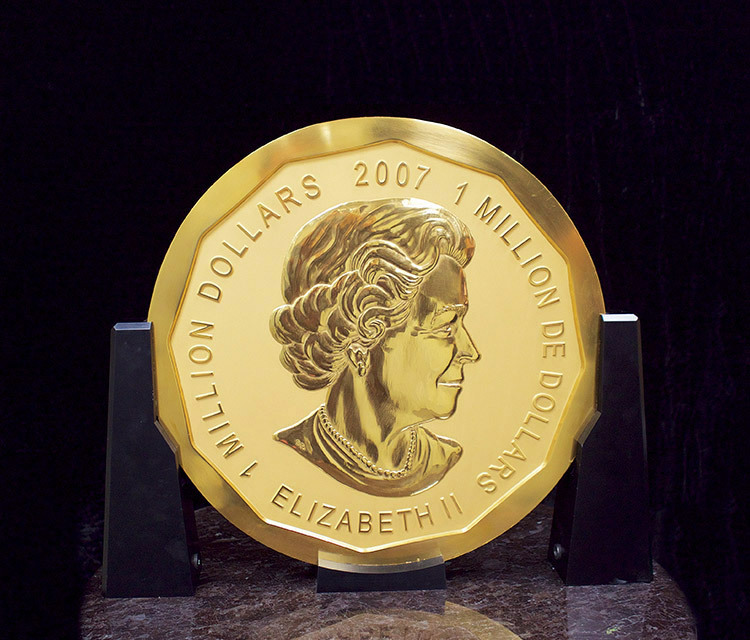 The effigy of Her Majesty Queen Elizabeth II on the obverse side is a work by celebrated Canadian portrait artist Susanna Blunt. 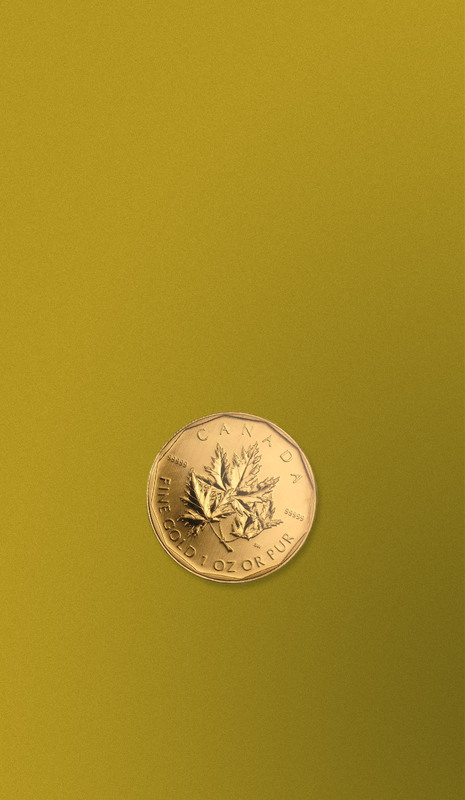 The reverse features an elegant hand-polished maple leaf design by Royal Canadian Mint artist and engraver Stan Witten. 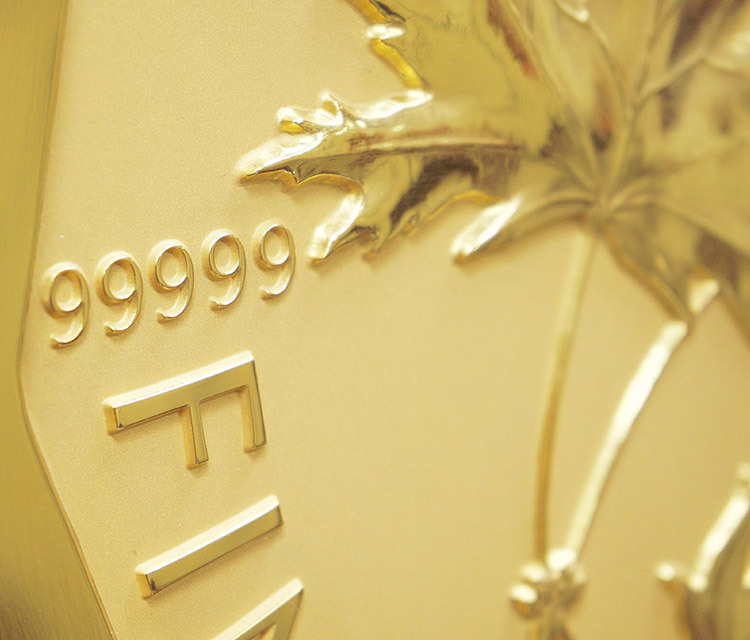 This incredible coin combines craftsmanship and artistry with the unprecedented technical achievement of 99.999% purity in gold bullion. What does it mean to be the purest in the world? While most gold coins are produced with 9999 or 999 gold, this monumental Million Dollar Coin is made of gold which is 99.999% pure. 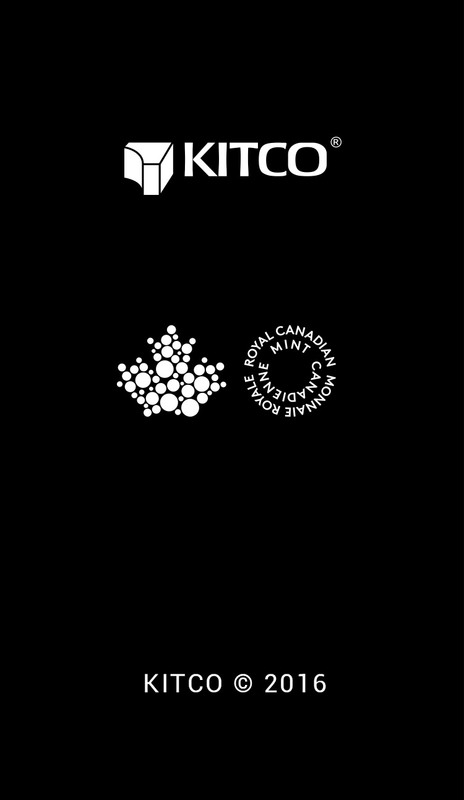 Only the Royal Canadian Mint has been able to produce a coin of this purity. Dealer inquiries welcome. A referral commission is available. Not ready to buy 3,215 Ounces? 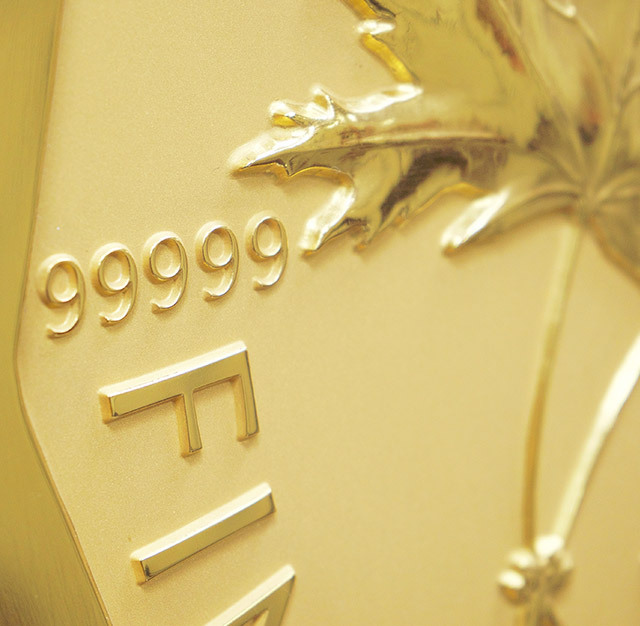 The same incredible 99999 purity is available in 1 ounce coins, limited quantities available while supplies last.